Good evening everyone! I hope you are all having a fabulous Friday! Tonight I have my candy corn mani to share with you guys. If you follow me on Instagram, then you saw a little sneak peek of this mani earlier in the week. Well after wearing for a full week, I must say this is one of my favorite Halloween inspired looks. I received TONS of compliments from both male and females, even made a waitress break a smile on what was clearly a bad night for her. 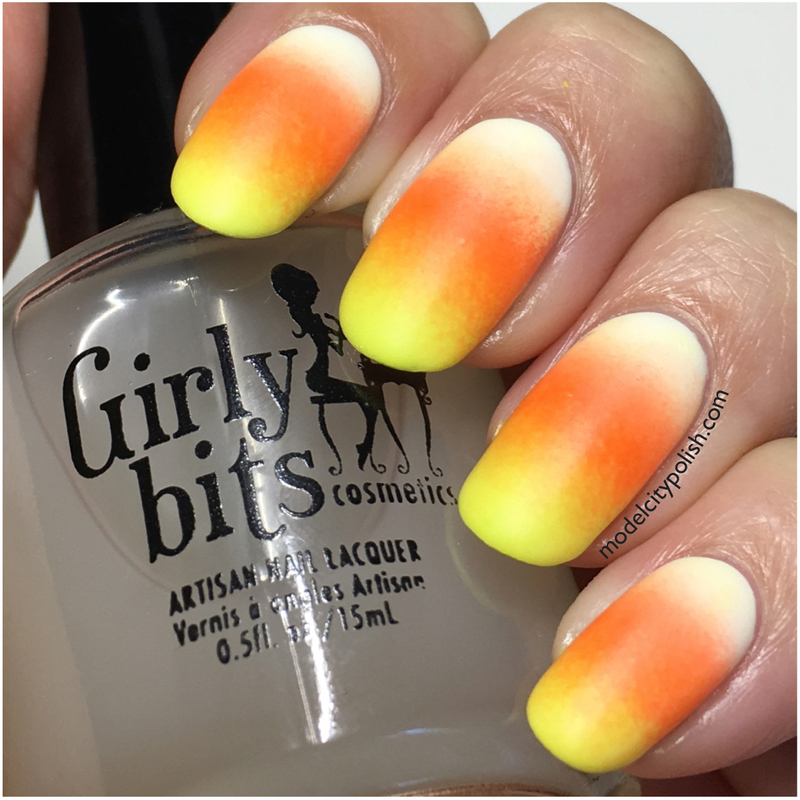 My candy corn manicure is super easy to create with the right colors. For the candy corn nails I started with two coats of Alpine Snow by OPI and a coat of Clearly On Top by KBShimmer. Next up I used a makeup sponge with a stripe of Alpine Snow, Juice Bar Hopping, and Live Gave Me Lemons by OPI to do the perfect candy corn gradient. I used the same sponge for five nails and a fresh stripe of each color for each nail. I also found doing one coat on all five nails and then going back a second time to really smooth things out and give the colors a more vibrant finish. Lastly I used Polish Matte’rs by Girly Bits to give the perfect matte finish. So what do you guys think of my Candy Corn nail art? I love it!!!!! 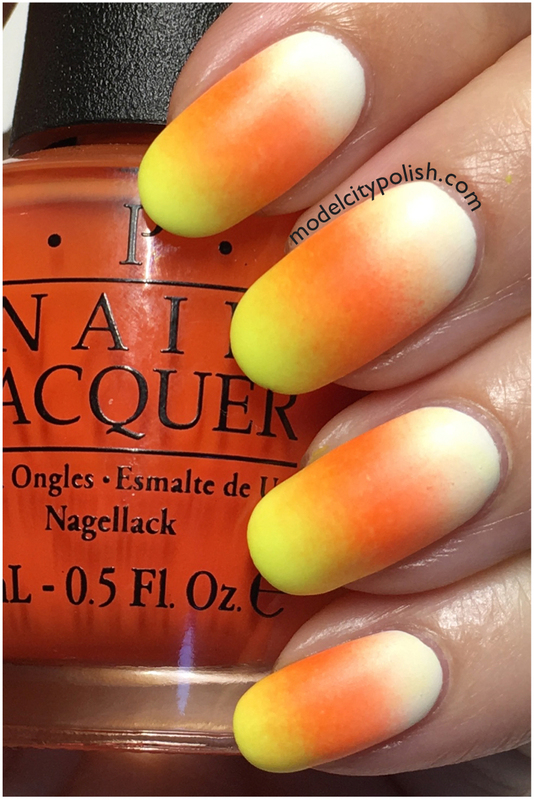 I am beyond trilled with how well the colors blended to create the perfect candy corn look. Thank you so much for stopping by tonight and I will see you all again this weekend. 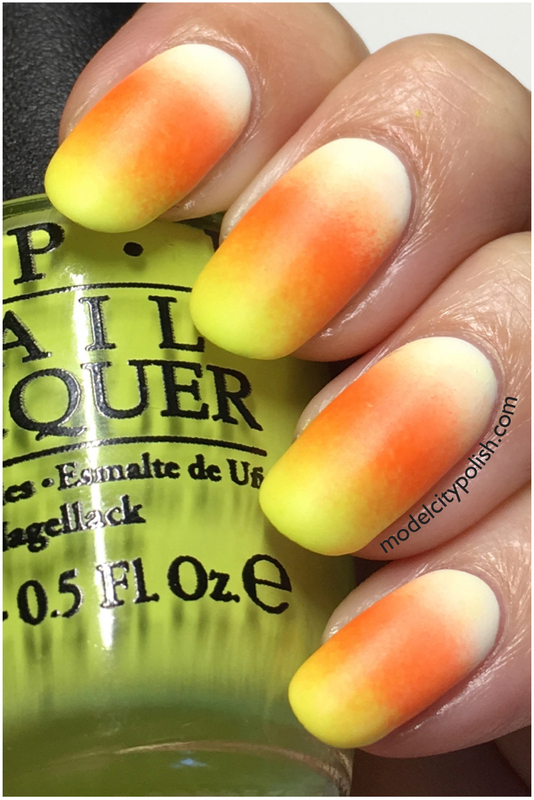 I love candy corn gradients! 🙂 So festive! I love candy corn. This is so vibrant! Can you believe my husband hates candy corn? Yes, these totally look liike candy corn… how fun and festive. These are perfect! I also have a mani like this planned for later in the month, you beat me to it! 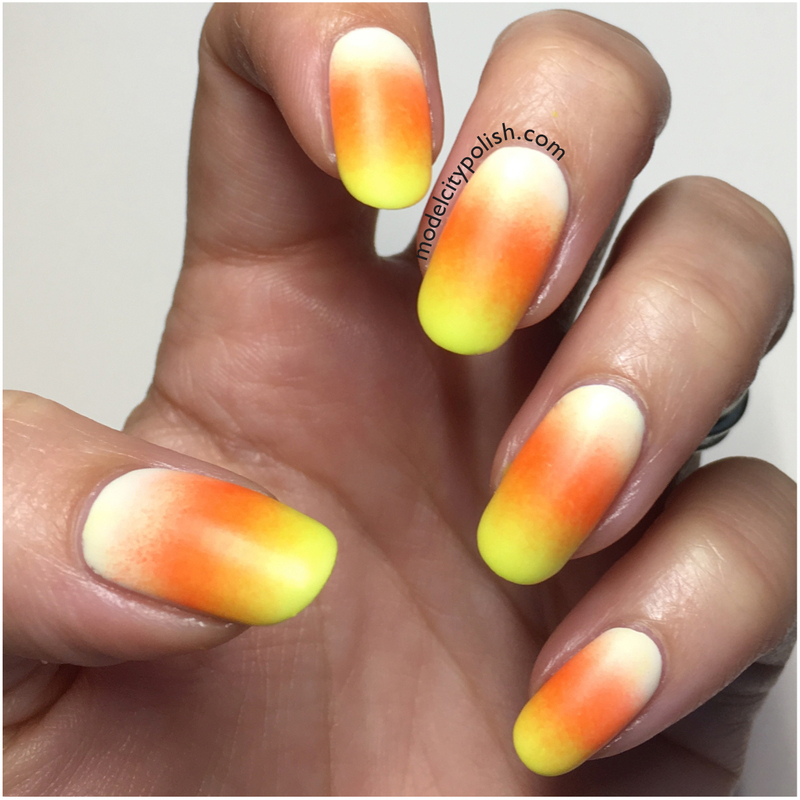 I love candy corn gradients. They’re the only candy corn I like.